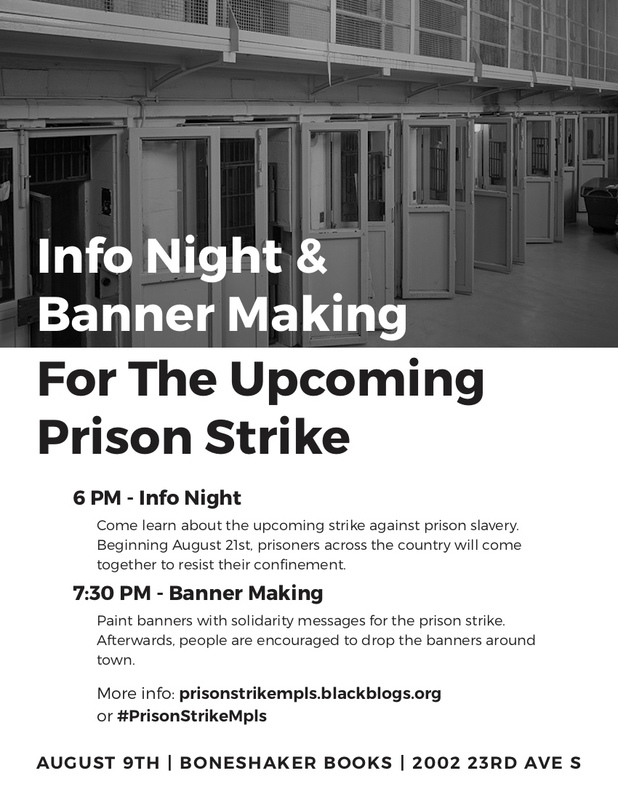 Come learn about the upcoming strike against prison slavery. Beginning August 21st, prisoners across the country will come together to resist their confinement. Paint banners with solidarity messages for the prison strike. Afterwards, people are encouraged to drop the banners around town.